The HDM Filter Cup Adaptor is designed to fit a 2 7/16" throat air filter. The Flat Head version is supplied with 3 setscrews for locking it in position on the carburetor. 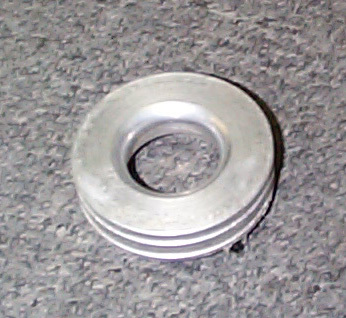 The Clone version is engineered to bolt in place (picture not shown). It is also has a funneled bore for improved air flow. Don't forget your high performance filters. If ordering, please download our disclaimer for this part.